A fine piece of populist electioneering aimed at his home market might well be the view from Davos of President Sarkozy’s key note speech at the 2010 World Economic Forum in Switzerland. That’s certainly our thought of this Sarkozy speech. Animated and expressive the French President metaphorically laid into the bankers who, in his view, nearly brought about global financial collapse in 2008. His speech, which drew only muted applause at its close, was big on gestures, platitudes and to some extent, vision. But if any of the Davos delegates, financiers included, expected policy measures then they left the conference without anything substantive. The President had nothing new, of any substance, in this speech. So this was very much a campaigning speech. Albeit, he is still the incumbent President. He read from a prepared speech transcript. But, that’s not a criticism. Because he had to keep to a time slot, especially with the Davos conference. There’s no doubt that the President worked well with his pace and pausing strategy. And he tied in both the necessary emphasis and intonation in tandem. This Sarkozy speech featured several rhetorical questions and lists. But this was a speech that conveyed both the focus of the speaker and the passion for his subject. This was certainly a Sarkozy speech given for his home market; not the Davos audience. 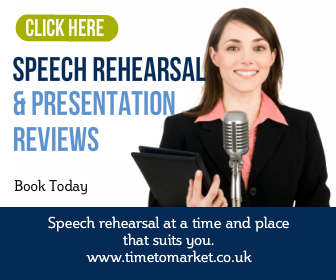 You can prepare for your next conference speech with a public speaking skills refresher with Time to Market. Take the time and the opportunity to run through your speech with the practised and critical oversight of a Time to Market trainer. 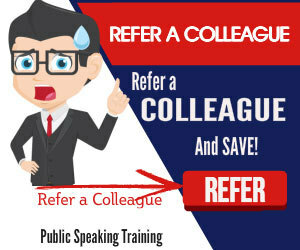 And, what’s more, you can opt for a half day skills refresher either at your own offices or one of more than 40 training centres that we use. Please don’t hesitate to get in touch.